The food safety authority looked away as the environment ministry kept clearing consignments of genetically modified soyabean and canola oils from abroad. Violating laws governing food safety in India, the central government has over the last five years allowed more than 15 million tonnes of genetically modified soyabean and canola oils to be imported into the country for human consumption. That such imports were illegal came to light with the Food Safety and Standards Authority of India’s submissions before the Supreme Court in response to an environmentalist, Aruna Rodrigues, asking for imports to be banned or for genetically modified products to be clearly labelled. Based on the food safety authority’s submissions, the court on August 11 accepted that imports of GM food continue to be banned. Genetically modified crops, or GM crops as they are commonly known, are cultivated from seeds that are genetically altered to increase yields or tolerance to pests. Supporters say GM crops are essential to boost food production to meet the demands of the planet’s ever-expanding population. 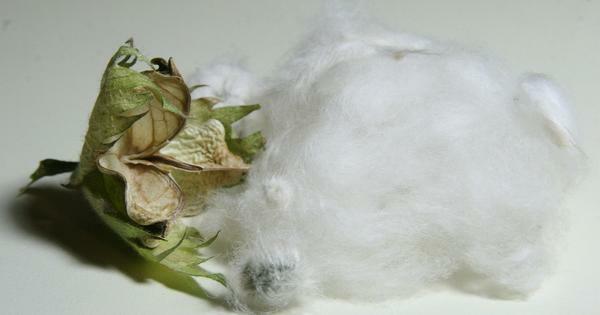 But in India and many other parts of the world, there is a debate about whether GM crops are safe for human consumption. Some scientists also fear that biodiversity will be threatened if genetic material from GM crops get mixed in with non-GM crops. Many countries, including European Union nations, Australia and China, have strict regulations requiring GM foods to be clearly labelled so that consumers can make informed choices about whether to eat them. In 2010, the Congress-led United Progressive Alliance government declined permission for the first home-grown GM food variety, Bt brinjal, to be cultivated. 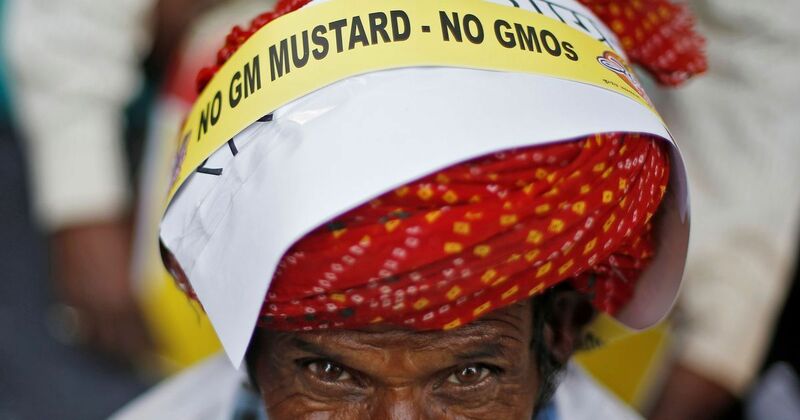 Since then, seed producers have urged the government to allow GM mustard to be cultivated. But the government is yet to take a final call on this. Already, the Supreme Court is hearing another case by Rodrigues, urging a better regulatory regime and stricter tests for GM crops. But even as the debate about cultivating GM crops in India continues, the government has been bringing in processed oil made from GM crops: GM soyabean oil has been imported for the past decade and canola for at least three years. In an email interview to Scroll.in, the chief executive officer of the Food Safety and Standards Authority of India agreed that GM food is not permitted to be sold in India because these products do not have approval under the Food Safety and Standards Act of 2006. But, Pawan Kumar Agarwal argued, the authority could not regulate or prohibit the sale of imported soya and canola oils because it is technologically incapable of detecting the GM protein in them. When vegetable edible oils are processed, the levels of proteins in them are reduced to negligible levels, he said. “Hence the GM component cannot be detected in refined vegetable oil,” he contended. Imports of GM food need to be approved under two separate laws. A clearance is needed from the Union environment, forest and climate change ministry under the Environment Protection Act, 1986, which is charged with assessing the impact of GM products on biodiversity. Clearance is also needed from the Union health and family welfare ministry, which must explicitly endorse that these products are safe for human consumption under the Food Safety and Standards Act. Importers have received the first clearance but they have operated for years without the second, the food safety authority has said. The food safety authority’s claim that it is unable to detect genetically modified content in oils does not hold ground. There is a profusion of scientific literature on detecting genetically modified material in processed soya and canola oils. But even if the authority’s argument is accepted, these oils are still not legally exempted from the existing prohibitions on GM food. Giving permissions for GM foods to be imported under the Food Safety and Standards Act would have required the government to first put into place a testing and labeling regime for such items. More than 60 countries in the world label all packaged food that contains or is made from GM organisms. India is yet to finalise the rules to do so. The commerce ministry, which regulates imports in India, did not respond to queries emailed by Scroll.in. Importers have got away without having the mandatory approval under the Food Safety and Standards Act because the two ministries passed the buck from one to the other, government records show. Under the Environment Protection Act, 1986, the environment ministry’s Genetic Engineering Appraisal Committee is entrusted with granting approvals of “activities involving large scale use of hazardous microorganisms”, recombinants – cells with a new combination of genes not found together in either parent cell – “and industrial production from the environmental angle”. The law prohibits the import, sale or use of GM food products without the committee’s approval. With the passage of the Food Safety and Standards Act in 2006, the environment ministry and the health ministry each began to claim that the other was responsible for clearing imports of food containing GM material. The debate was never settled legally. Eventually, in 2007, the environment ministry began to give clearances for imports, even though it acknowledged that permission was also required under the food safety law before imports could begin. The food safety authority neither put the regulations for such approvals in place nor acted actively to stop the imports. After a decade of allowing the import of GM foods, the Genetic Engineering Approval Committee, at a meeting on April 12, 2017, took note of the regulatory vacuum on the import of GM food and decided to discuss this with the Food Safety and Standards Authority of India. The authority did not respond to the question why it did not instruct the commerce ministry to stop imports of GM food in the absence of testing and labeling regulations, as required by the law.